Pre-heat oven to 200 Celsius and line a baking sheets with tin foil. Thinly slice the turnips into chips and place in a large mixing bowl. 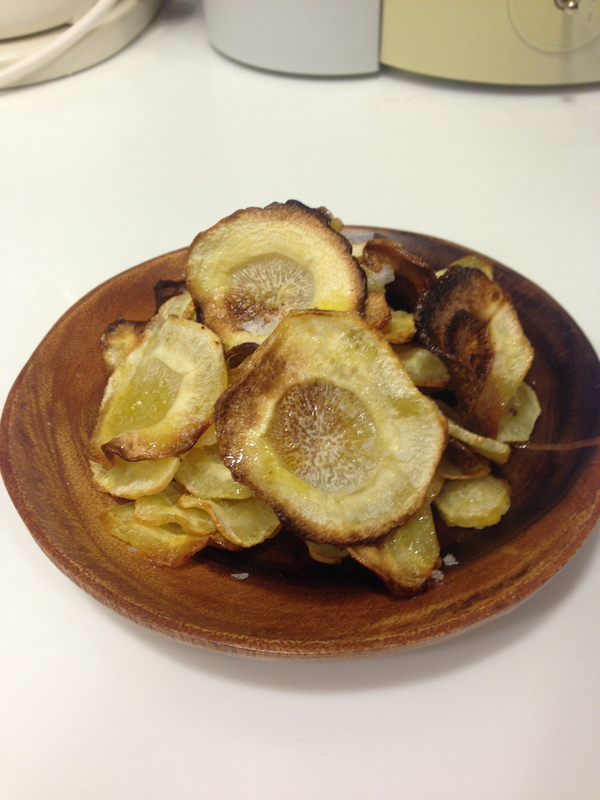 Drizzle turnip slices with olive oil, salt and pepper. Toss well to coat evenly. Spread chips in an even layer on baking sheets. Be careful not to over-crowd. Bake for 20-25 minutes, turning once halfway through to ensure even cooking. Cool down for 10 minutes to continue crisping then serve.